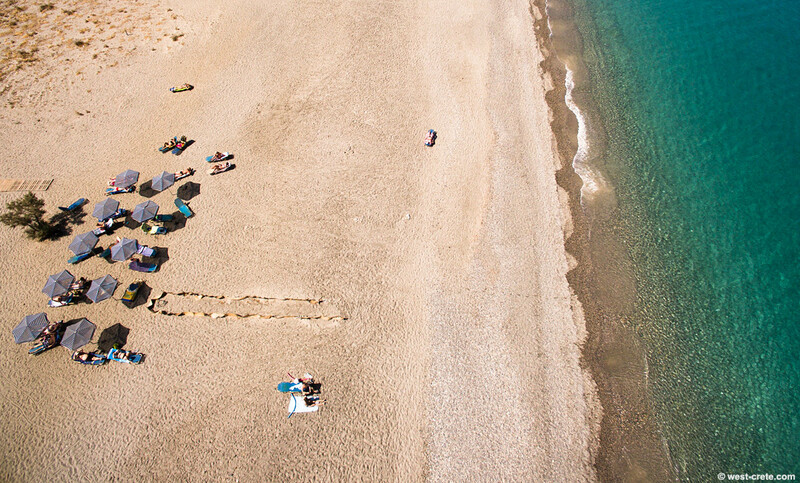 A partial view of Gerani beach from the air. Note the area that looks fenced off: it's because there is a turtle nest (below the sand on the left) . That's been marked so that people don't go tramping on it. Additionally a low fence has been erected to help new born turtles go in the right direction to the sea and not towards the lights of nearby hotels and away from the sea. This work is done by volunteers from Archelon, the Sea Turtle Protection Society of Greece.